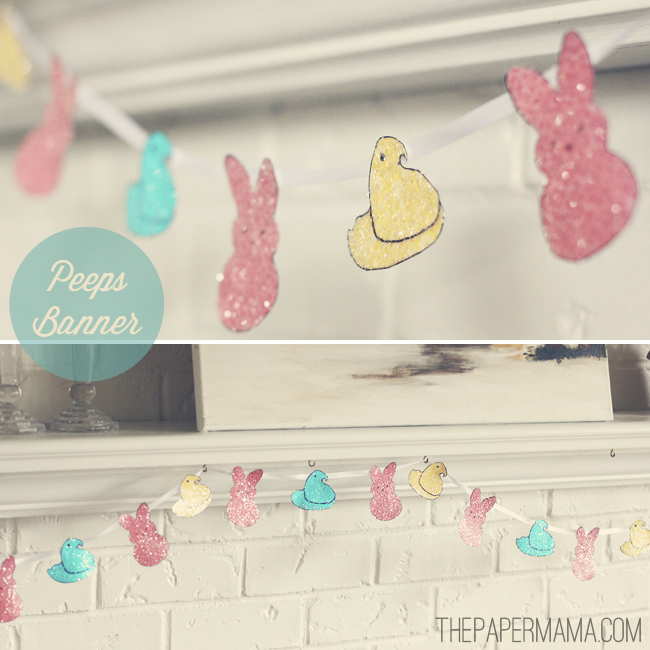 Peeps Easter Banner with Free Printable! 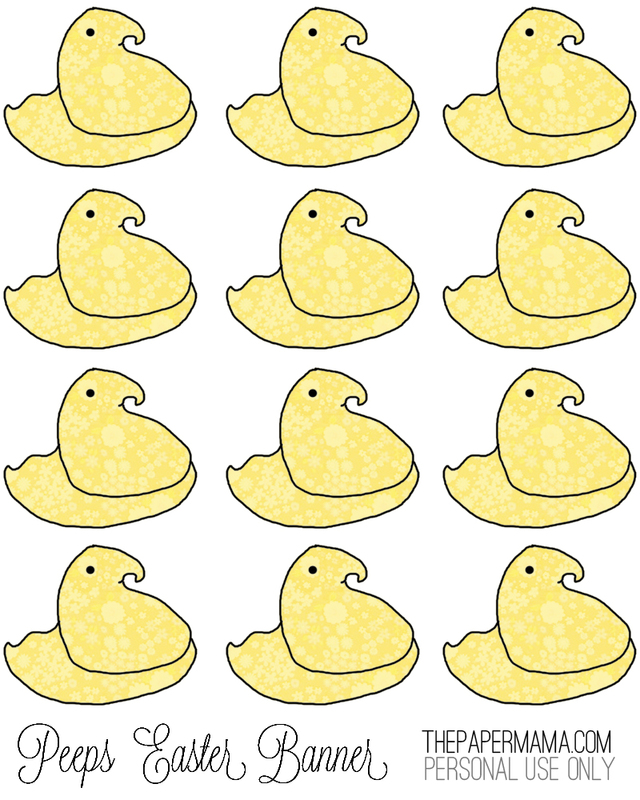 Today I want to share with you a little Peeps Easter Printout! 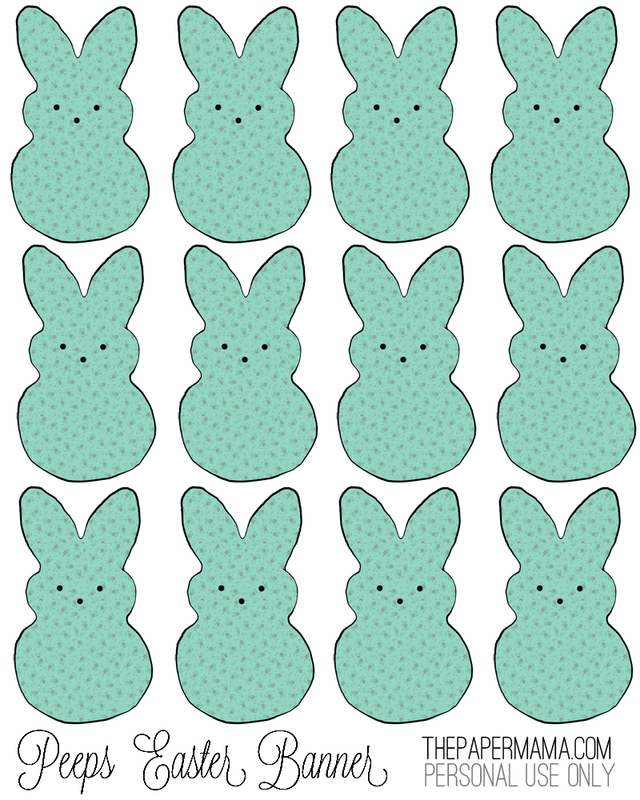 I don’t really have much in the way of Easter decor… and, now that I have a kiddo… I have this need and desire to decorate my home like crazy for every holiday! I tell ya: it’s crazy. But, my girl loves it. AND, I want to share my creation with you. 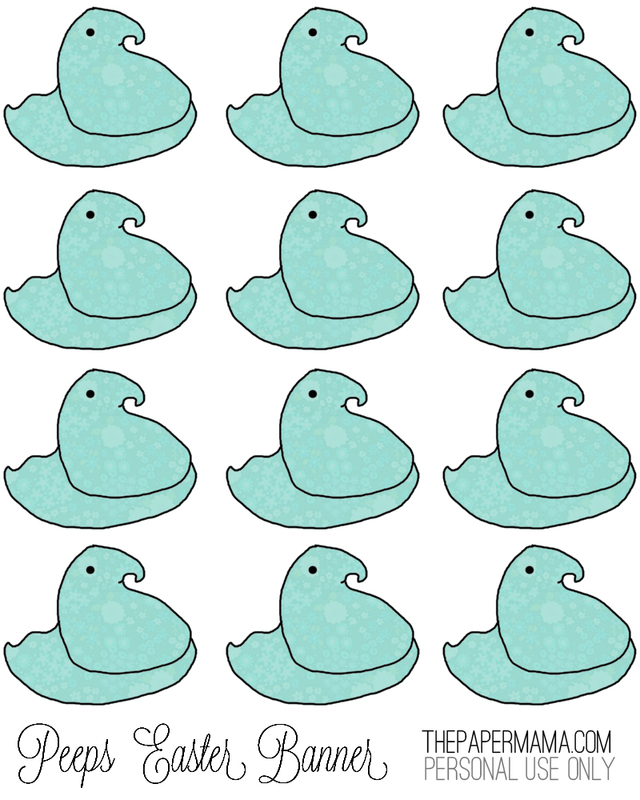 – Print out the peeps. 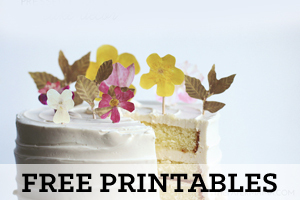 You can find the printout links below. 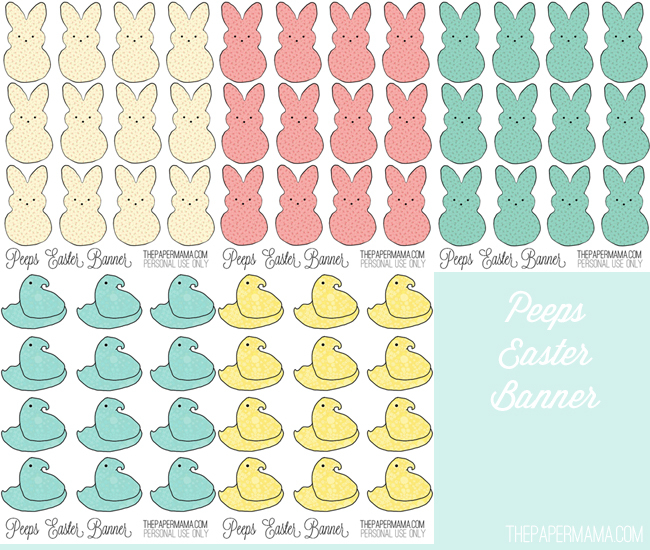 – Cut out whatever colors and how many peeps and bunnies you’d like for your banner out. – Optional: I felt like my peeps were missing something… so, I added a layer of glue and glitter for a bit of peeps sparkle! Let dry. 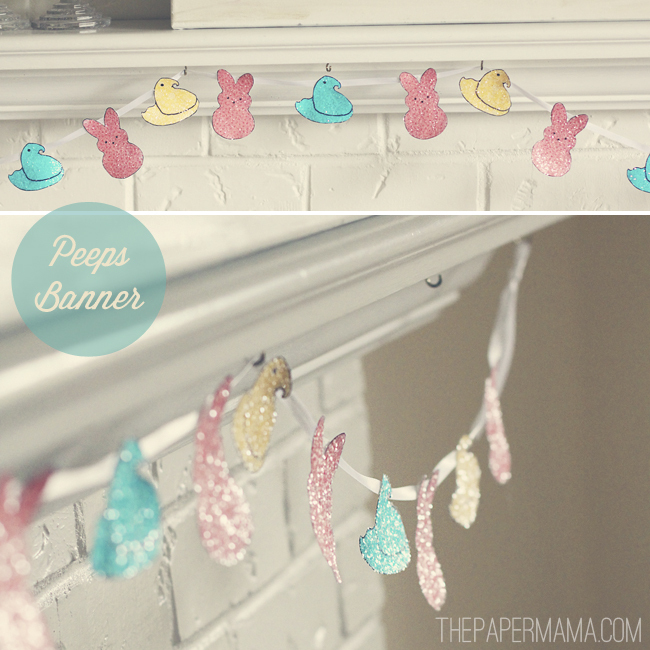 – Trim out a length of ribbon for your banner (the length is up to you) and glue the bunnies and peeps onto the ribbon. – Hang and enjoy! 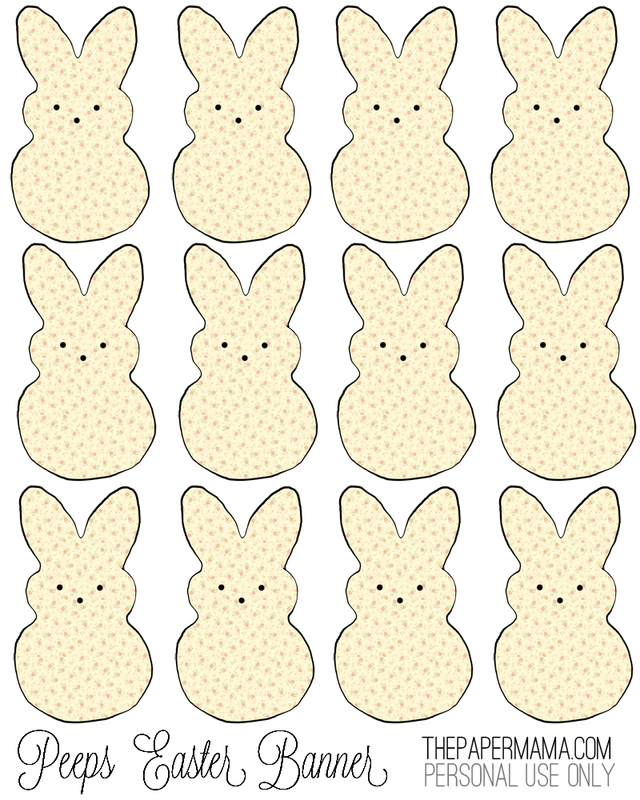 You’ve got yourself a fine bit of Easter decor. Thank you for sharing! I'm happy to have stumbled upon your blog ;). Thank you for this! My 3.5 yo daughter and I are working on this together and having so much fun. It is so cute! awww… so adorable!!! thank you! I love this! So cute and it fits my budget perfectly! Thanks for sharing. You’re so creative! That is so adorable! I may try this in my office. 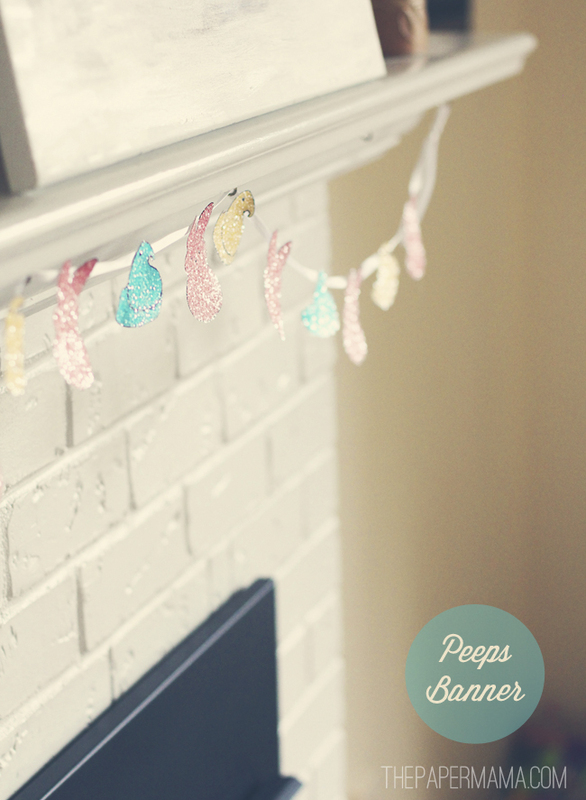 I don't have any kids and I want to make this for my fireplace. Is that wrong? 🙂 The glitter makes the banner! No way! I think it's wonderful. Love this! You have fantastic ideas! 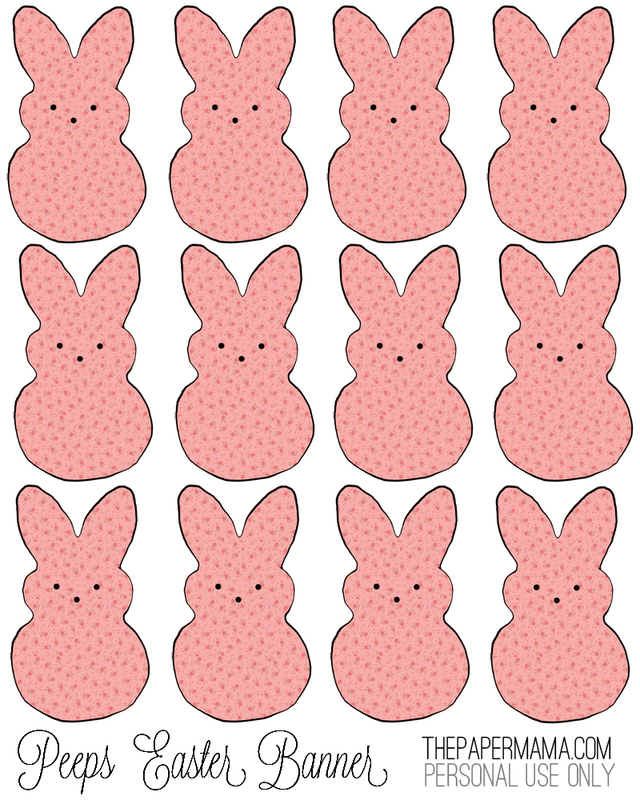 But seriously, now, I’m craving a peep! Ok, so cute and I totally need to do this! 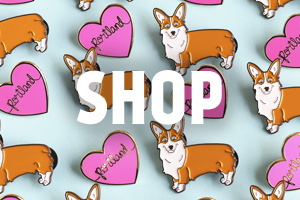 Ooo, the glitter really takes the whole banner to the next level of cuteness! Bahaha this is too precious!! 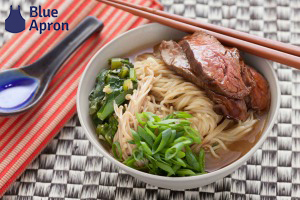 I'm totally making this as soon as possible!